Suitable for Toyota 4 buttons keyless entry remote control smart key. Please compare picture with your key before purchase. This case made from 100% genuine premium cowhide leather. 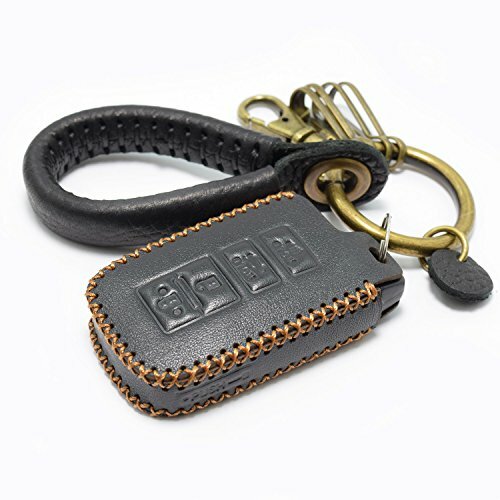 Provide full protection from scratch and wear-out for your key. All buttons, ports, sensors remain unrestricted without compromising on protection. This case is designed for everyday use. Easy to install, instantly improve the appearance of your old or dirty remote control smart key.